Most of my blogging involves my two passions, cooking and fashion, however I have also developed an interest in all things green/organic/waste-free in the last year. I borrowed this awesome book from Janssen called Zero-Home Waste by Bea Johnson (you can read her review about it here). The concept behind this book is that you live trash-free by reducing, reusing, recycling, composting and all around making choices that don't involve waste. The author's family produced so little trash one year that it fit in a quart-sized jar. Now, you are probably thinking "this sounds crazy and is definitely not possible for me", but as I continued to read, I found myself making a mental list of all the little things that I could do to start reducing the amount of trash that I produce. I read another book called The Zero-Waste Lifestyle by Amy Korst and she mentioned that the average person creates about three pounds of trash per day. That's about a thousand pounds of trash bound for the land-fill each year created by one person. Crazy, right? Even reducing little bits of waste can help. I absolutely recognize that not every person can alter their life to become trash-free, but we can make small efforts that will make a difference in the long-run. I have made a few alterations in our lives to cut out excess packaging and trash. I buy nuts, dry beans, oats, and rice in bulk and bring my own reusable bags to put them in, I make an every-other-week run to the recycling center, I try to buy bigger boxes and containers of things so I don't waste so much packaging, I use cloth napkins and clean with rags instead of paper towels. 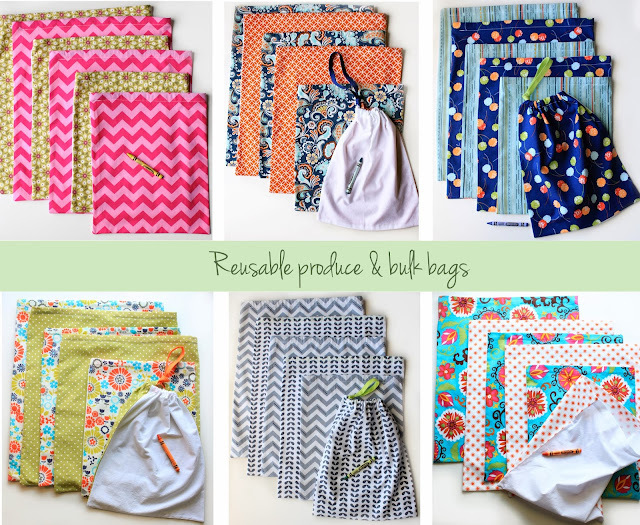 I decided to start making produce/bulk bags a few months ago to help those who might want cuter than mesh bags to put their produce and bulk items in. 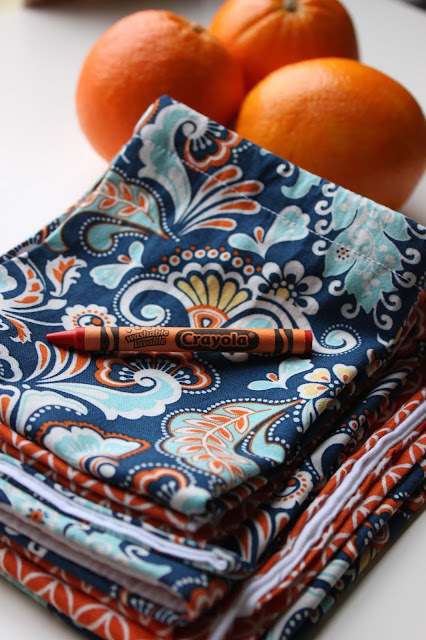 Instead of bringing home the thin-plastic produce bags that you have to recycle and take up space under your sink, you can bring your produce home in these cute bags and write the vegetable code on white side in washable crayon and then wash them and put them with your grocery list for next week. They are green and cute! I love using them, because it makes me feel like I am making good choices for the environment, they are darling fabrics, they are durable and hold a lot. These bags would make a great gift for friends or relatives who are green-minded, or for someone gets a CSA vegetable box! For the entire month of December, use the code GOGREEN15 at checkout to save 15% on all items in my Etsy Shop. These are SO cute! Sharing immediately. Just catching up on your blog now. These are awesome!